Following the tragic death of Caterham schoolboy, Breck Bednar, Essex Police and the Breck Foundation have made a four-minute film to raise awareness amongst children of the dangers of online grooming. The film covers how to play safely and whilst using the internet to remember that friends made online are not real friends. Please click here for the full letter regarding ‘Breck’s Last Game’, which, if you wish, you can also use to confirm your attendance for the upcoming viewing on Thursday 29th November. 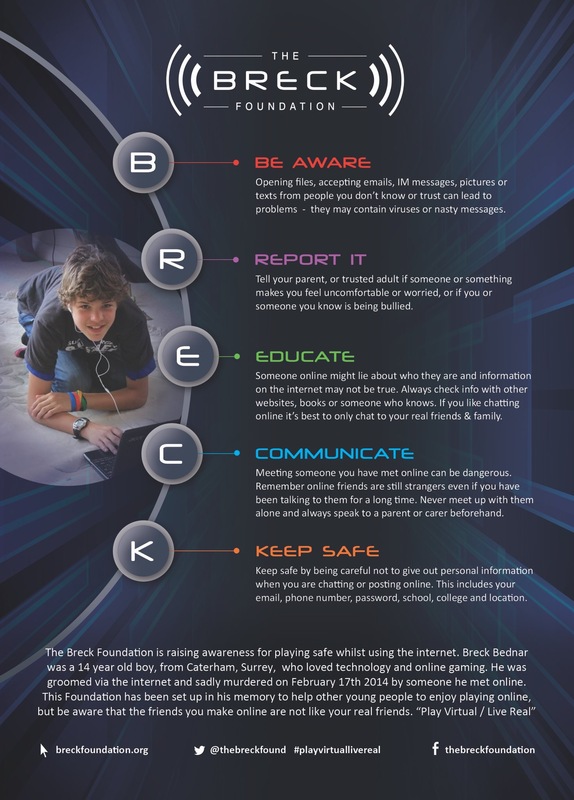 E-Safety Guide on ‘Breck’s Last Game’. Flyer on ‘Breck’s Last Game’.